NAIROBI, Kenya (CNS) — About 2,000 Kenyans along the coast near Somalia have taken refuge in two churches and a school, fleeing increased attacks from suspected al-Shabab militants. Father Peter Kariuki, a priest at the Catholic parish in Hindi, in Kenya’s Lamu County, said many of those seeking shelter are Christians. “The militants have been asking the people to say their faith. Those found to be Christians are being killed,” Father Kariuki told Catholic News Service in late July. Church sources said the villagers are camped at the Catholic church in Witu, an evangelical African Inland Church and a local school compound. The moving populations had been living near the dense Boni Forest, which the militants have allegedly been using as a cover to terrorize villages and attack security forces and travelers. Reports indicate that the militants have quietly crossed into Kenya and established bases in the forest, where they now launch attacks. On July 20, suspected militants killed two people in Marerani town, near the border with Somalia. In mid-July, a senior government official was rescued after being abducted by the militants as she traveled to meet the displaced people. Four people who were traveling with her died during the ordeal. 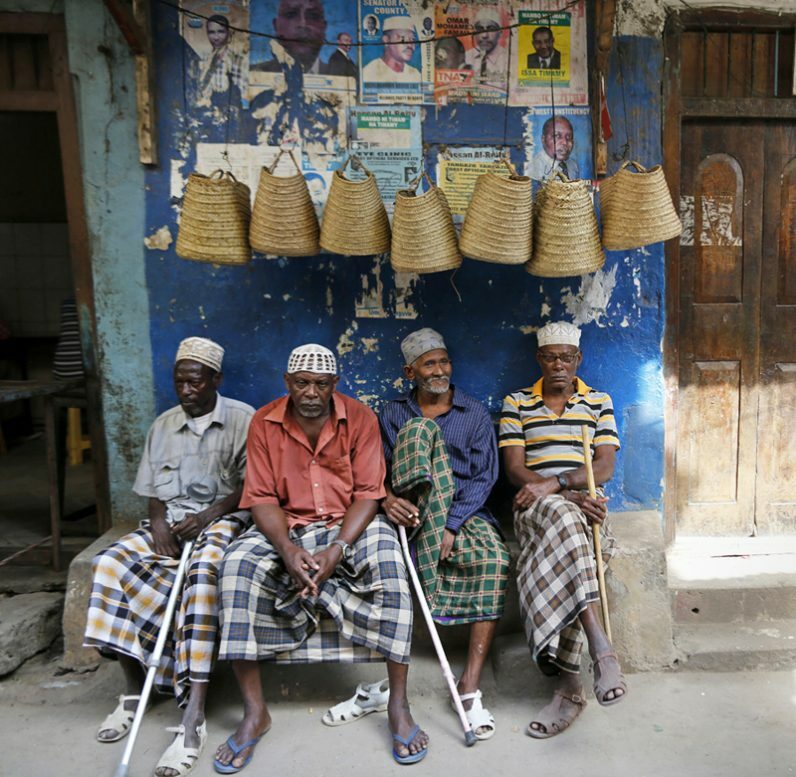 On July 7, the militants beheaded nine men in Lima village in Lamu. The previous week, the militants killed three police officers in Pandanguo village. Father Kariuki said despite tensions being high in the area, church officials and other authorities were urging people to not move from their homes. He said police and military had increased security patrols. In mid-July, Catholic bishops said they were convinced “that these attacks, though masquerading as terrorists or banditry, may actually be orchestrated criminally, aimed at displacing populations so that they don’t participate in the 2017 general elections,” scheduled for Aug. 8. Msgr. Wilybard Lagho, vicar general of the Mombasa Archdiocese, said although the church is neutral, the attackers and some of those providing the people with camping material might have ulterior motives. Based in southern Somalia, al-Shabab is an Islamist militant group that has been trying to overthrow the government and replace it with one led guided by a strict form of Shariah, Islamic law. Al-Shabab has been carrying out public executions, flogging women in public and carrying out limb amputations for petty crimes.